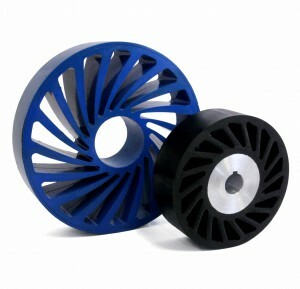 Sunray’s Zero Crush wheels offer a unique solution to demanding applications. Utilizing a chambered construction, these Zero-Crush Wheels can delicately handle materials that are easily damaged by conventional wheels and rollers. 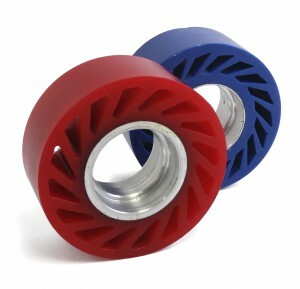 Available in almost any size, shape and hardness, these wheels perform! Zero Crush Wheels are custom-manufactured to your exact need. In the space below, please provide all pertinent information regarding your application for a fast quotation for the Zero Crush Wheel you need.